A review of the drink-driving laws could see the legal levels lowered so that one drink is enough to put motorists over the limit. Transport minister Philip Hammond is studying the findings of a report that was commissioned by the previous Labour government. Due to be published later today, it is thought to suggest that the legal limit should be dropped from 80mg of alcohol per 100ml of blood to 50mg, bringing Britain in line with the rest of Europe. 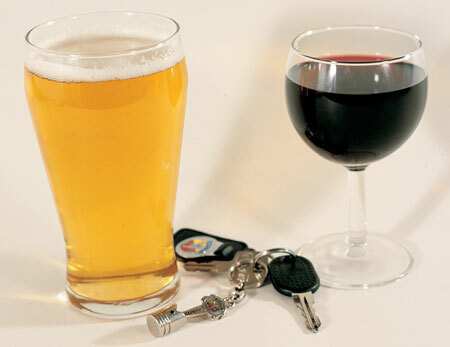 The report, carried out by Sir Peter North, concludes that most drivers will not be over the limit after one drink, however it has been estimated that some will be unable to legally drive after a large glass of wine or a strong beer. As well as the lowering of the limit, the report is also widely expected to recommend that the laws surrounding road side tests are tightened. At present police are only allowed to conduct a test if they feel a car has been driven erratically, but it is believed the report will suggest police get the power to test at any time and without reason. It is also thought that the report will suggest the laws become even stricter for young drivers, with the limit being lowered to 20mg of alcohol in the first five years of passing a test. Stricter laws on drug driving will also be suggested. It is not confirmed that the new Government will adopt the recommendations, as the Conservatives have previously said they would not lower the legal limit. However, the Coalition Government is thought to be more likely to consider turning the reports advice into legislation. Countries with a 50mg/100ml limit currently include Austria, Denmark, France, Germany, Greece, Italy, Spain and the Netherlands. The AA has welcomed the recommendations, with president Edmund King saying: "Our members want action on drug driving and also support a reduction in the drink drive limit together with a 12 month ban. A quarter of all road deaths are caused by drink or drug driving so it is essential that further action is taken."